Did you know that an improving economy does not necessarily mean that you can save better? 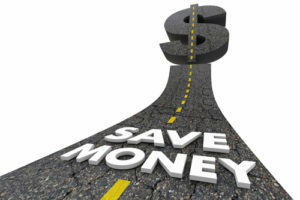 According to one article, Americans are having difficulties saving money even with the positive outlook in the economy. This is just a reminder that your income does not dictate your personal financial success. You may be earning a 6-figure income but you can still be a financial failure because of your multiple debts. Or you may be earning the minimum wage and still be able to improve your financial situation slowly but surely. The point here is that money management is still the key to reach your financial goals. So if you want to save better, it should not matter if the economy is improving or not. Obviously, it will be easier to increase your savings if the economy is doing well. But that will not guarantee your success. So you need to learn how to save more regardless if the economy is doing well or not. Why are you not able to save money? If you are finding it hard to reach your saving goals, you should take a look at your financial situation first. You need to analyze how you are managing your money. You have to look at every single one of your financial resources to see if it can really meet your financial needs. By identifying the problem, you can pinpoint the reason why you cannot save better. Once you know the problem, you can find a solution so it will no longer compromise your ability to save. Here are some areas that you can look into. Knowing the difference between a want and a need is an important skill that we all should have. There are times when you might mistake one for the other and this can cause problems. Sometimes we force a “want” to become a “need.” When this happens, it can compromise the important expenses that you should be spending for. This could be one of the reasons why seven out of ten people struggle staying inside their budget. So what can you do about this? Well, you can start by creating a separate list of all your wants and needs. Assess each item and make sure that they are in the appropriate list. If not, make the necessary changes immediately. You need to understand that in order to save better, you have to use your money for its original intent. Otherwise, you can see different saving accounts dwindle down for seemingly no reason. Take your retirement fund for example. You are saving it for your older self. But if you continually dip into it to help consolidate debts or fund a vacation, then you will never reach your goal. You will only put your retirement life in jeopardy. Do not put your future at risk. If you want to save better, you need to have the self-control to use your money only as intended. If you are saving for your kid’s college fund, do not use that on something else. Unless it is a matter of life or death, do not use your savings on something that is is not intended for. And if you have to use it, make sure you return the money. It will be a struggle to save better when you constantly fall for financial scams. Unfortunately, this is a reality that a lot of us have to face. The moment you have gained momentum, you come crashing down because some thief got away with your savings. At this day and age, you need to be vigilant with how you conduct transactions and even with the way you dispose of your financial statements. Identity theft starts with scams where thieves get a hold of your personal information and either make purchases under your name or even open up new credit accounts. Financial scams can also include thieves calling you up or even sending you unsolicited emails that seek to get personal information from you. Be careful of these and always put your security as a priority. What can you do to save better? Once you have identified what is keeping you from saving better, you should find ways to improve your financial habits. These habits should lead you to become better managers of your money. If you can manage your finances well, you will not have a problem reaching your saving goals. Here are some tips that will help you improve your saving habits. When you think about it, everything about your finances is connected to your budget plan. If you really want to improve it, you have to make sure that you are implementing your budget wisely. When you take control of your household budget, it allows you to closely monitor the movement of your money. You will know how much money is coming in and the amount you spend each month. Best of all, you get to see where your money goes. This knowledge will allow you to control every transaction. If you want to save better, you just have to pick an expense that you will cut back on so the money can be sent towards your saving goals. Another thing that you can do is to look at where you can increase your income. While money management is the key to save better, your income will help you reach your saving goals faster. The combination of great money management skills and a higher income can really improve your ability to save more. But the question is, how can you increase your income? Well, side hustles should be a great place to start. According to reports, almost 4 out of 10 Millennials have side hustles that earn them an extra $580 each month. Try to choose a side hustle that you love to do – something that is connected to a hobby or a skill that you are really good at. That way, it will not feel like work at all. This should help lessen the stress that you feel despite working longer hours. There will be times when you need a much-needed shot in the arm when trying to save for your future and luckily, there are some employers who can help you out. These can be in the form of free money that goes into your 401(k) plan. There are employers who agree to put down a matching 401(k) program to help their employees plan for their future. Some employers even provide financial seminars in hopes of giving their employees an upper hand when it comes to managing their finances. You should not only look at what your take-home pay is in terms of your career. It is also a good idea to look into benefits that your employer provides you especially the ones that help you budget your money and in effect, save better. Finally, you should also work harder to strengthen your finances. A stronger financial position means you are also more financially secure. There are so many things that you can do to achieve this. You should make sure that you have enough money in your emergency funds. You should also ensure that you are saving for your retirement fund. Doing these things can help you save better because you are prepared for the future. Take your emergency fund for example. Having one helps you stay away from debt. If you are caught off guard and you have no reserve funds to speak of, you could end up maxing out your credit card just to get by. Once this happens, you lose the opportunity to save more because you are forced to allocate your funds to cover that expense.